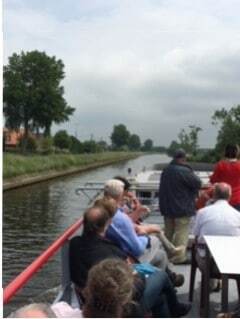 On the 1st June, seven of us set out to visit our twin club in Comines. 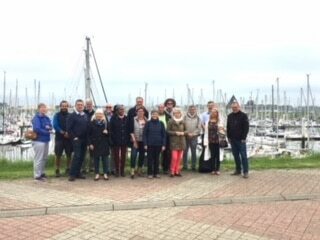 From the point of rendezvous on the Grand Place of Comines, we were taken to our host families (Fabrice, Pascale and Max, Marta and Serge, Odile and Jean-Claude). 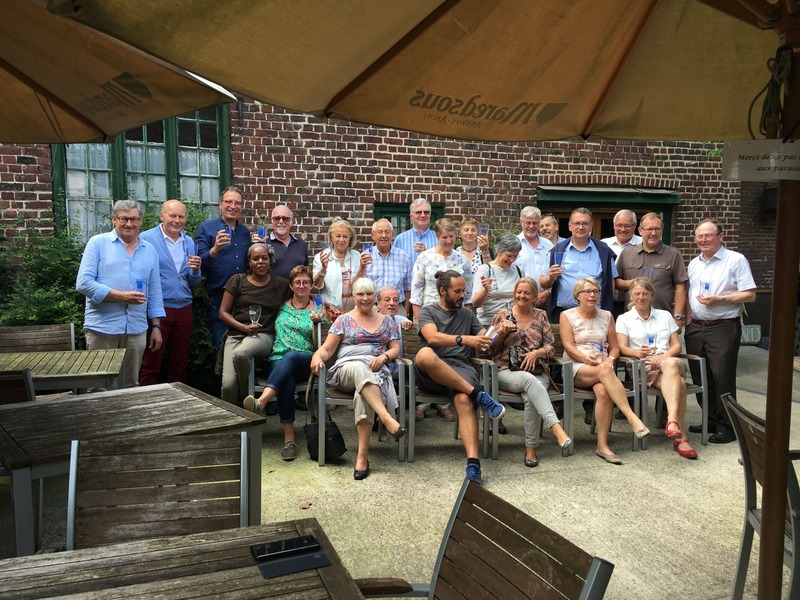 For the first evening, we were taken to eat with members of the Comines Club. 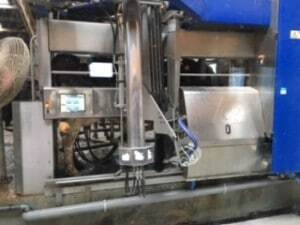 Anne, Maureen & myself went to a dairy farm which is owned by Thérèse Marie and Michel (9th generation owner) and saw their cows being milked by automatic machine which all happens without human intervention. They produce 1,000,000 litres of milk per annum from 70 cows. 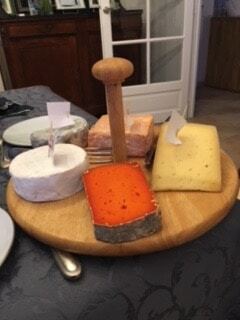 We sampled their delicious cheeses which are the farm’s main production. On Saturday morning, we went to Nieuwport in Belgium where we visited the port and the protected natural area and after a very good lunch, cruised on the Yser to Diksmuide.The gentle travel allowed some, who shall remain nameless, to rest and take a nap to recover from the evening before. In Diksmuide we visited the Ysertoren. 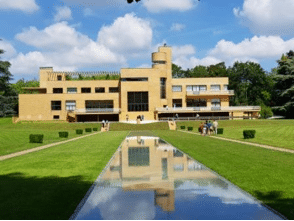 From the top of the tower, there is a panoramic view of the Flemish plain to the sea. 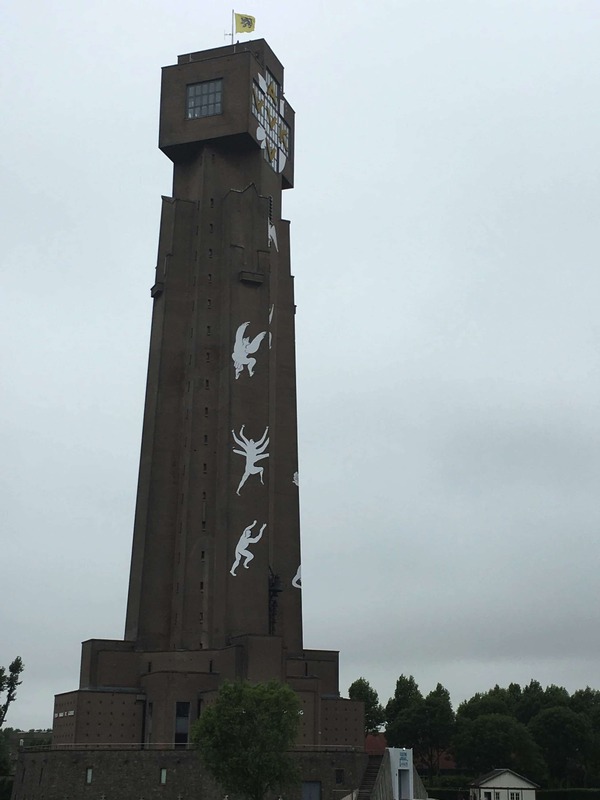 The tower also hosts a very interesting museum on the Yser front during the 14-18 war and life in the trenches. 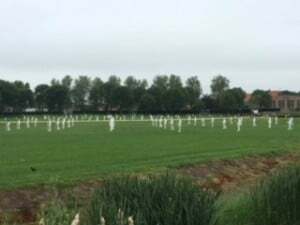 There are 70 white figures in the field outside which represents the number of conflicts which are current in the world. 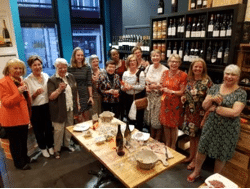 On Saturday night, we went to a new wine bar in Lille, where our main Twinning evening took place. 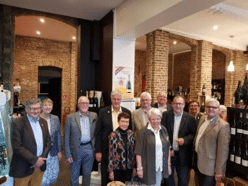 There was a speech in English by President Fabrice to thank us for tour visit and the members of the Comines club who organized the various activities. 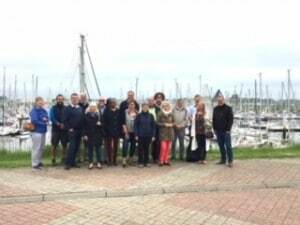 Then a speech in French by Robert (representing Wendy our current president who was unable to attend) to thank the Club and our hosts for their welcome and activities. We then enjoyed a delicious buffet, plus champagne and different wines that were very well received. The number of bottles opened was considerable and the whole evening was very relaxed, different to a formal dinner and enjoyed by all. 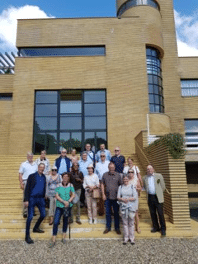 On Sunday morning, we visited the stunning Art Deco Villa Cavrois at Croix with an extraordinary guide, Gilles, who was in charge of the renovation of the Villa and who was able to explain the different stages of the work and the difficulties encountered for a site of this magnitude. 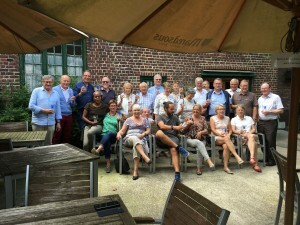 We finally had lunch in the “HET BLAUWERSHOF” Godewaersvelde where those who had not been able to visit the Villa Cavrois joined us. After a typical Ch’ti meal, our gifts were given by each club to the other with short speeches. After lunch, we all enjoyed the traditional pub games put at our disposal by our innkeeper with competitive games punctuated with great merriment. Finally there was the traditional ‘family’ photo. Next year’s visit of Comines Club to England is set for 11th & 12th May and we will need to up our game to match such a great weekend.